I am not much of a coffee drinker and I don't smoke cigarettes, but do love my wine and drink it often. Studies show that wine is one of the many factors to staining your teeth. One of the things I have been dying to get done on my list is to get my teeth whitened professionally. I have tried generic teeth whitening kits and home remedies in the past but have not successfully got results that I wanted. Until recently I was contacted by a brand called Smile Brilliant, they asked me to review their whitening kit, and I gladly accepted. 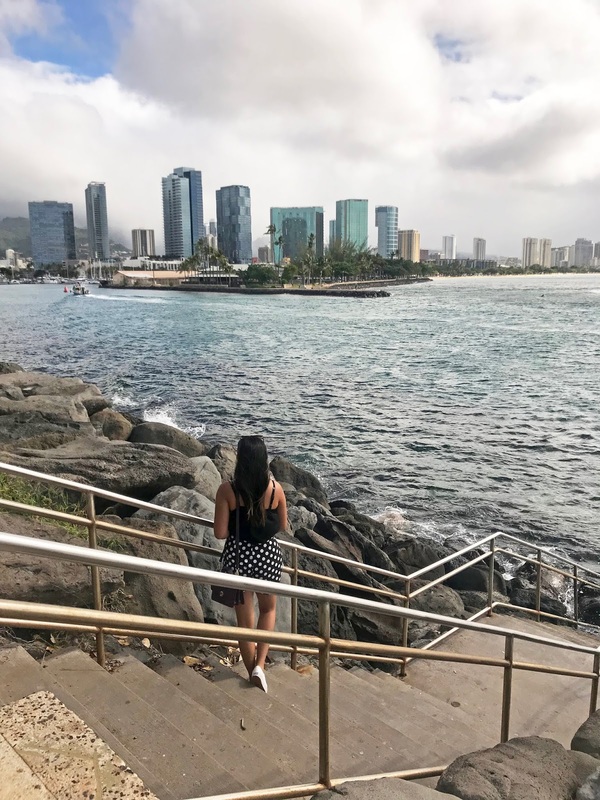 Today I am sharing with you my experience with this amazing kit, and how it helped me to get one step closer to getting that perfect white smile. Smile Brilliant is not like any other teeth whitening product out there, I say this because it's very similar to getting your teeth whitened professionally at the dentist BUT without having to break your bank! 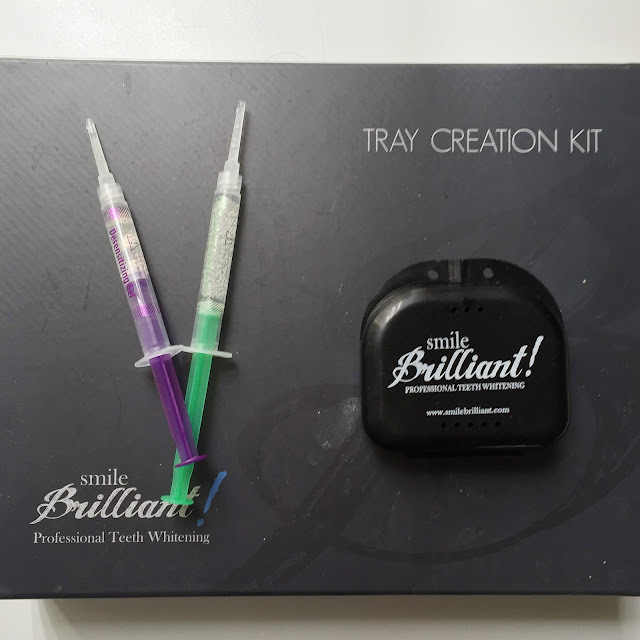 The Smile Brilliant kit comes with 3 sets of impression material (catalyst paste and base paste), impression trays, whitening gel and desensitizing gel, all for a reasonable price, $119.95 (original $179.95). How does this work? Well it's simple, this kit comes with simple instructions for you to follow! If you've ever been to the dentist (which I'm sure you all have), you'll definitely see very familiar items inside your creation kit. 1) When mixing the catalyst and base paste together, make sure to do this part fast because the putty can get hardened quickly. 2) Make sure you evenly spread the putty in the tray (it's okay if it spills over) so that you can get all of your teeth from front to back. 3) Let your impressions sit for 30 minutes before rinsing them off under cool water. And wait until they are fully hardened to place them in your shipping envelope. Once you are done and your impressions are hardened, you can ship them off to the lab! Make sure your impression card is also placed inside with your trays, failure to receive it will delay your shipment (don't want that happening!). This process takes about 2 weeks for them to receive it and send you your personalized trays! 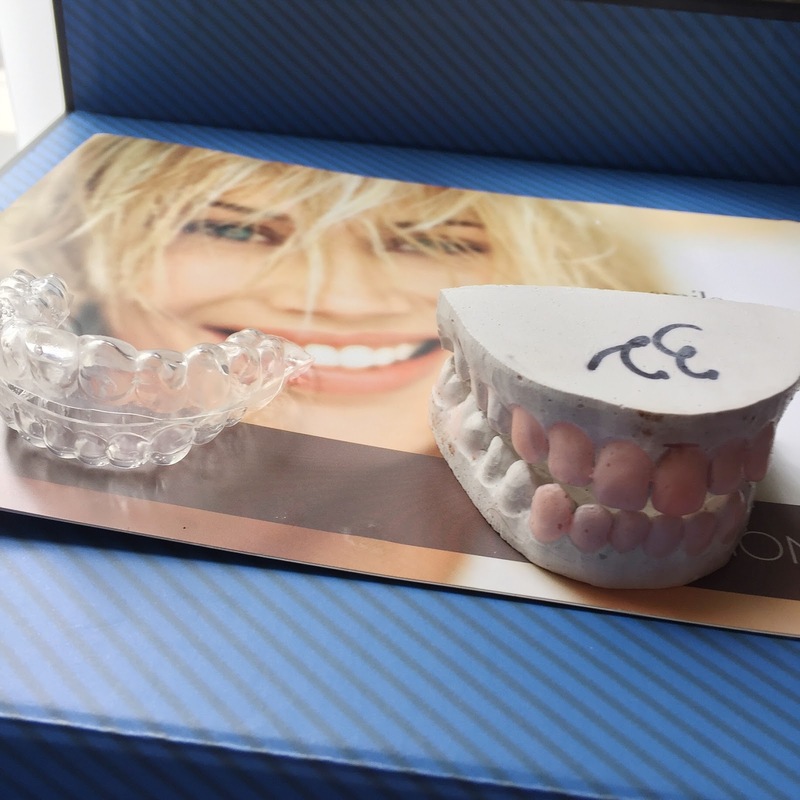 So once you've got your trays (picture on the left), you are on your way to getting whiter teeth! What are the steps to using these trays? Well, good question, when I received mine I was a bit confused too, I mean I wasn't sure which syringe I was suppose to be using first in process? In your kit it comes with two different syringes, sensitizing gel (green) and desensitizing gel (purple). Before starting, make sure your trays are dry, any moisture will reduce the efficacy of the gel. Use a pair of scissors to snip off the tip of the syringe, and only use a thin layer of gel to your trays. Anything more than, will cause irritation to your gums (which was a mistake I did and I have sensitive gums) and could also cause tooth sensitivity. Like all teeth whitening products you have to be consistent using it and the longer you have it on, the better results you will receive. Truthfully, one of the struggles I encountered was being consistent with the usage of the gels, and I was very inconsistent, so I felt like my results weren't as great as it should have been! You can keep them on for 15 minutes or a max of 3 hours, it all depends on how fast you want to see results! After your done using the sensitizing gel, clean out your trays again (making sure everything is cleaned and dried out), you then place a thin layer of the desensitizing gel to your trays and leave them on for about 5-15 minutes. Afterwards, spit the remaining gel out without rinsing, and do not eat or drink for about 30 minutes. And you're done! I loved using this kit, and out of all my experiences this the most effective brand! If you are like me, and don't want to spend a fortune on getting your teeth whitened and want something you can do in the comfort of your own home, then Smile Brilliant is for you! Check out more reviews here and a video for more information! Good luck lovelies!